Google, one of the leading online search engines, is always seeking ways to improve users’ web experience. However, ever since the advent of search engine optimisation (SEO), the internet has become awash, with low quality content. A simple online search will not always bring the desired results, as low-value content websites utilise SEO to achieve higher search engine rankings. As far as site rankings are concerned, Google seeks to do away with these low value sites that put revenue generation above quality web experience. 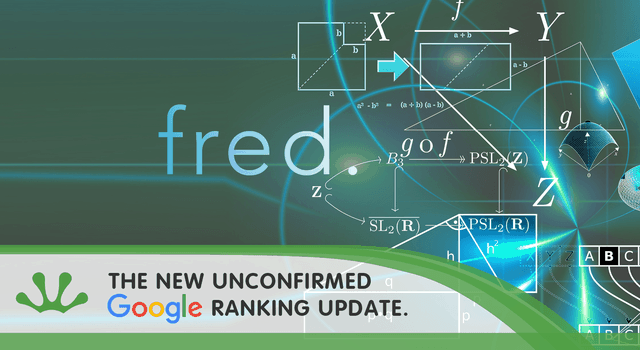 Unconfirmed reports suggest that “Fred” is the new Google Algorithm Ranking Update that is set to impact on the SEO world. Low-value content sites consist of numerous adverts that seek to lure visitors to make a purchase or click on an affiliate link. While it is not wrong to market products and services online, Google feels that meaningful sites consisting of quality content should rank higher than sales sites. “Fred” will significantly reduce traffic to these low quality content sites by up to 50 percent or more. A number of web masters have already experienced the impact of Fred, first hand. Ever since its test run on March 8, 2017, quite a number of “low-value” content sites dropped out of the top indexes, with keen SEO experts noting that some keywords, sank deep on search results. Google is yet to confirm if the update will be permanent or they will resolve to roll back to the previous algorithm. SEO experts are still in the dark concerning the changes, as Google has not come out openly to state its position about the current situation. As it has been the case with recent Google algorithm updates, the Company has remained silent about their update activities. However, Gary Illyes from Google was categorical about the development, stating that the search engine Company makes an average of three updates per day. In view of the uproar surrounding latest Google update, it is safe to say that “Fred” is a reality. The impact of Fred on both Search Engine Optimisation and online marketers has been immense. Web masters and developers have to re-strategise on their SEO tactics. Although Fred has not affected SEO tools in anyway, web developers have to refrain from optimising websites just for the sake of driving traffic and acquiring high rankings. Seemingly, SEO experts will not find a way around the Google Algorithm Ranking Update, as it concentrates on the content of the site rather than the SEO tweaks. The idea of developing high quality content is a good one and SEO experts, as well as web masters, should consider developing sites that are useful to the end-users. Meanwhile, considering the recent developments, it has become imperative for online marketers to develop high quality content sites rather than fluff their landing pages with a myriad of adverts. It is just a matter of time before Google confirms this algorithm update. When that happens, marketers who are yet to make the shift will have to bear the consequences. Their sites will not only drop in rankings, but might also become obsolete due to poor traffic. Additionally, the competitive edge that they might have had over their rivals will be no more. End users stand to gain the most from the implementation of Fred. Gone will be the days when a simple online search would bring up irrelevant results or poor quality content, because of optimised sites that utilise common user keywords. The stringent measures by Google, come as good news to end users as it will ensure that they have a wonderful search experience. It will also be easier for users to find what they are looking, as the algorithm seeks to shove low-value content down the rankings. In conclusion, SEO experts, as well as internet marketers should not fret about the Google Algorithm Ranking Update. On the contrary, they should embrace it with open arms. Developing high quality content sites can go a long way in attracting prospective customers. Additionally, it is advisable for marketers to provide content that is not only meaningful, but also devoid of numerous adverts that seek to generate money. Web users love a wonderful online experience. If a site owner is able to provide that exceptional online experience, well and good. Chances are that a quality content site will drive more traffic, and eventually gain higher rankings in search results.